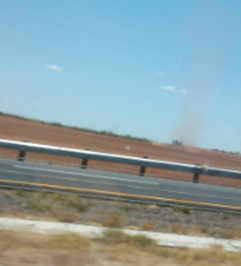 West Texas At 70 Miles Per Hour! 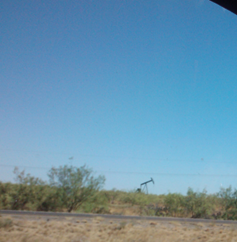 You are here: Home / Travel / West Texas At 70 Miles Per Hour! So, Texas is a HUGE state! Did you know that? Well, take my word for it! We drove all day and are STIIL IN Texas! We will probably be in Texas for another 3 or more hours tomorrow! Wow! 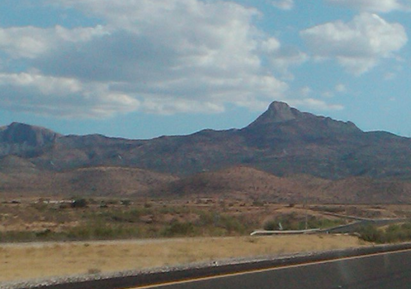 Also, let me tell you West Texas is not quite as scenic as our trip to Colorado – just FYI ! 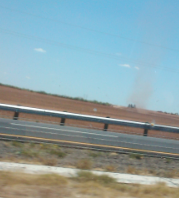 Oh, there were some sights – like the occasional dust storm that would come out of nowhere and cross the highway in front of us! Then we came upon what looked like mountains – which was totally confusing cause as most people know Texas is pretty flat for the most part! But, this was really pretty! So, I can’t wait to find out what we see tomorrow! Maybe I can actually get hubby to stop and let me take a real picture instead of taking them out the window at 70 miles per hour!